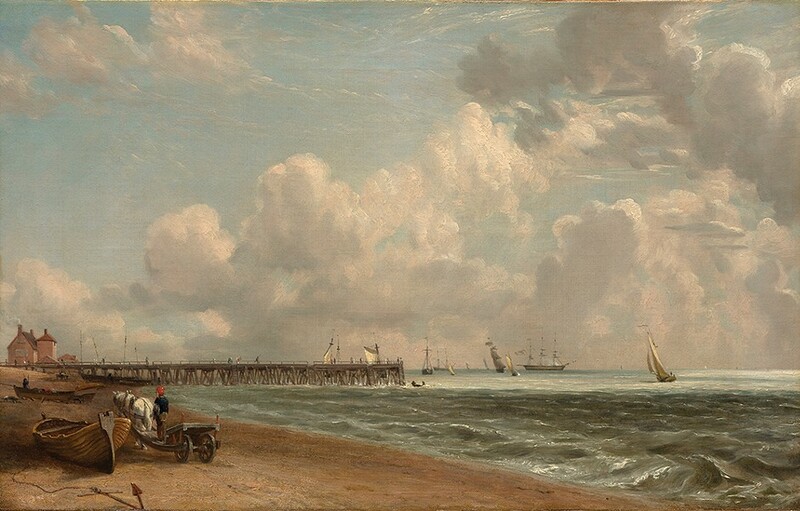 Yarmouth Jetty, John Constable, c. 1822–23. oil on canvas, 12 3/4 x 20 1/8 in. John Constable (1776-1837) and Joseph Mallord William Turner (1775-1851), the two giants of British landscape painting, could not stand each other, but their work gets along remarkably well in the exhibition "Turner and Constable: The Inhabited Landscape" at the Clark Art Institute in Williamstown, Massachusetts. In 2007, the Clark added a significant bequest of British art from Sir Edwin and Lady Manton to its own substantial collection, making it one of the most important centers of British art in this country. 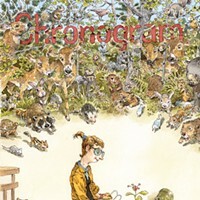 Most of the work in the show—almost 50 paintings, drawings, and prints—is drawn from the Manton Collection. The centerpiece of the show is a truly sublime late Turner, Rockets and Blue Light Close to Hand to Warn Steamboats of Shoal Water, depicting a steamboat offshore in a storm. 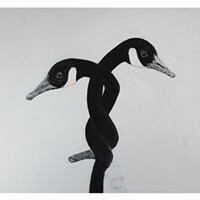 The paint is lathered on with a palette knife as well as brushes, rags, and an occasional thumb smear. 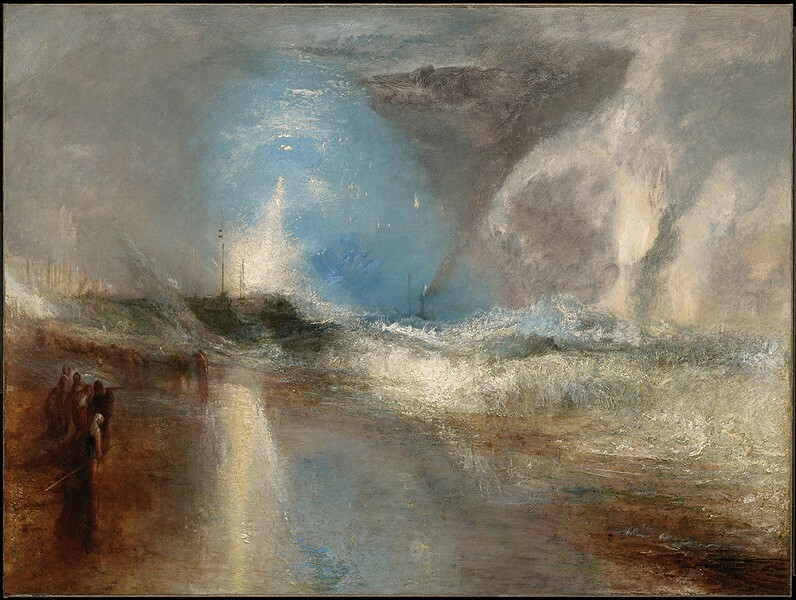 A vortex of sea spray and smoky mist, with a strange, blue center ablaze with white-gold light and an inexplicable X, this painting helps us understand why Turner has influenced painters ever since, from the Impressionists and the Hudson River School to the Abstract Expressionists. After viewing the Turners, it was tough to imagine how the Constables were going hold up in such wild and brilliant company. But in their polite and reserved way, they do. As I looked around that first room, one of Constable's radiant cloud studies caught my eye (Cloud Study, c. 1821–22). Executed outdoors, this little oil painting looked so fresh, I half expected it to give off the sharp scent of turpentine as I approached. Constable did over 100 studies of skies. He was a pioneer of painting landscapes outdoors. Both his paintings and his plein air practice influenced the French Barbizon painters, including Corot, as well as the Impressionists. 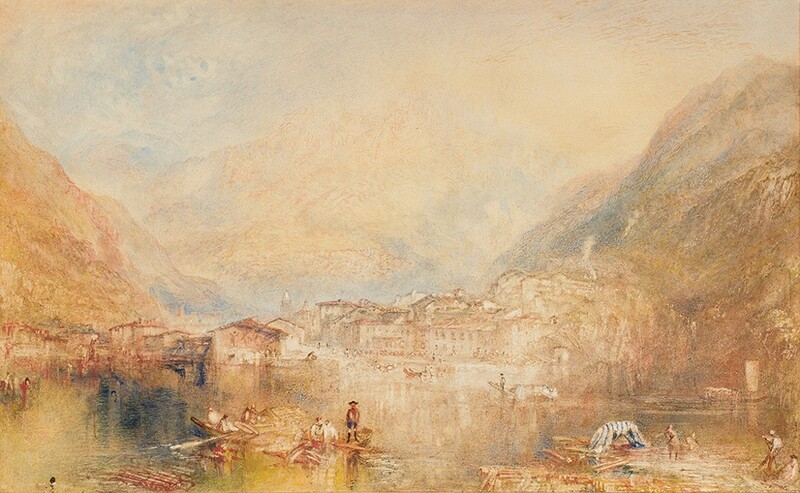 Brunnen, from the Lake of Lucerne, Joseph Mallord William Turner, 1845. Watercolor and gouache on paper, 11 7/16 x 18 3/4 in. Alexa Goodin's intelligent curation, and her subtitle for the show—"the inhabited landscape"—point to Turner's and Constable's abiding interest in how humans shape, interact with, and animate the landscape, although it is the landscape itself that remains their primary subject. Turner was born in 1775, Constable in 1776. Turner was from a lower middle-class family and was something of a child prodigy, a relatively uncommon phenomenon in the visual arts. He enrolled in the Royal Academy at 14 and became its youngest graduate. He travelled widely thereafter, painting in Italy, Germany, and France. According to his friend, the art critic John Ruskin, who knew the artist in his later life, Turner grew more eccentric and irascible as he aged. Constable's family background was more prosperous. The son of a corn merchant, Constable went on to marry his childhood sweetheart, with whom he had seven children. Constable's favorite subjects were close to home, and he did much of his best work in Suffolk. Despite suffering from a lack of recognition in England, he never left, even though he became something of a sensation in France, receiving a gold medal from the French Salon in 1824. Rockets and Blue Lights (Close at Hand) to Warn Steamboats of Shoal Water, Joseph Mallord William Turner, 1840, oil on canvas, 36 1/4 x 48 1/8 in. Viewing this work by Turner and Constable will change how you see things and the way you see them. The Clark is surrounded by farmland, woods, and mountains. Whichever direction you take upon leaving the museum, you will find yourself noticing things: a copse of trees, perhaps, or the precise shapes of cattle eating hay from an outdoor manger. You may notice details and colors, and the landscape will look different and more beautiful to you than it did before. 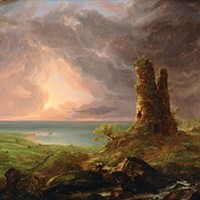 "Turner and Constable: The Inhabited Landscape" will be exhibited at the Clark Art Institute in Williamstown, Massachusetts, through March 10.